As much as I like Google’s(s goog) Chrome browser for Android, I still can’t fathom why there’s no simple function to show just the content of a web page. Apple’s(s aapl) iOS has this feature, it’s called Reader, and it’s outstanding. While on any web page, you just tap the icon on the left side of your address bar and the page is instantly transformed into only the text and relevant pictures of the page. No ads, no pop-ups, no sidebar images, nothing. I’ve actually recommended a Chrome extension that does the same — it’s called Evernote Clearly — however, it only works on the desktop version of Chrome. So this past weekend, I had an epiphany: Why not try using a method similar to Clearly but on Android’s mobile version of Chrome? The good news is: I found a way. 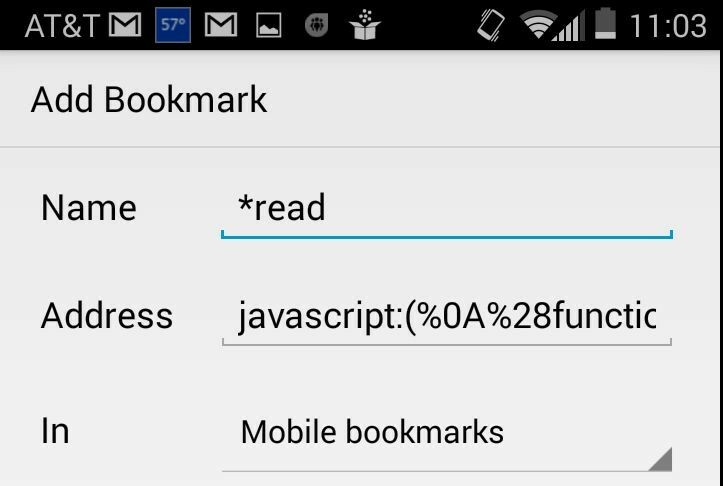 Using Chrome for Android, navigate to the Readability bookmarklets page. You should see three different bookmarklets. Tap and hold the first one called “Read Now”. You should see a pop-up menu of options. Choose the “Copy Link Address” option, which will store the bookmarklet code in memory. Edit the Name of the bookmark. It can be anything, but I recommend something that’s quickly accessible from the keyboard. I named mine *read. You’ll see why I chose to start the name with the asterisk sign shortly. 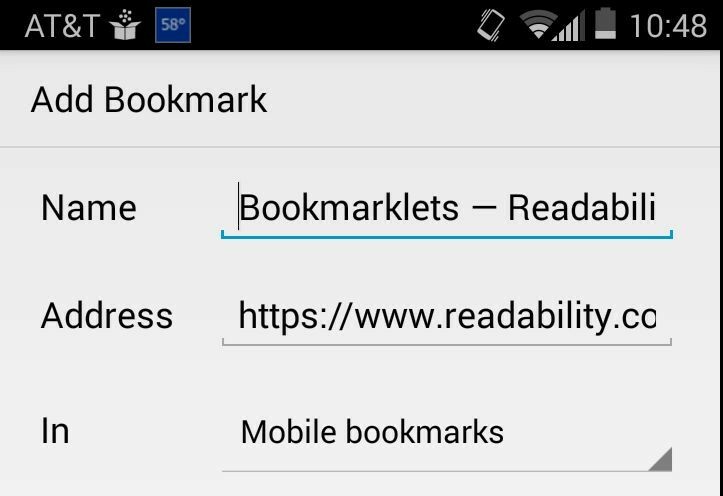 Click the Save button to save your bookmark in the Mobile Bookmarks section. That’s it. You should be all set to clean up the clutter from a web page. To test it out, just navigate to any web page that has a decent amount of content; preferably one that also has ads and other distracting bits. 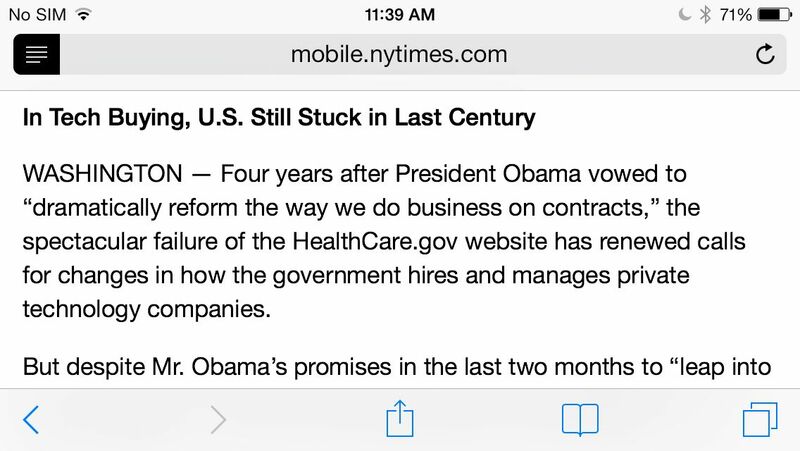 Here’s an example of a long, current New York Times article, complete with ads, trending stories and more. To de-clutter the page, just tap in the address bar of Chrome and the Android keyboard should appear. Swipe your finger from the ?123 key to the asterisk key and Chrome should show the *read bookmark; tap it and Readability will convert the page to this; a much easier page to read. This should help explain why I chose to name my bookmark *read: It’s a simple shortcut that’s quick and easy to tap on the keyboard. On my Note 3 and S4 the stock browser has reader mode built in. I have to reinstall the app. There’s no option for ‘Read Now’ as mentioned in your article. There’s not even 3 types of bookmarklet as you described. The only thing that I can see on my bookmark is ‘Readibility’ and once I clicked on it, it directs me to incognito mode. Am I missing something here? Would really love this feature to be on my chrome browser. And BTW, I’m using Nexus 5. Would there be an issue if I’m using that phone? Looking forward to your reply. This should work on the Nexus 5, so I don’t believe that’s the issue. And there’s actually no app to install here; the solution is simply to create a Bookmark manually. Great tip, thanks! Works excellently for my Huffduffer bookmarklet also. So this only works with the default Android keyboard for the bookmarklet? Not at all. You can name the bookmark anything you like; something that’s easy to get at using the keyboard you prefer. Sadly, my version of Chrome doesn’t seem to want to find the bookmarklet I saved when entering the asterisk (the first character of the saved bookmarklet name), nor does it open anything when selecting the bookmarklet directly from the Bookmarks folders. I’ll keep trying! Well, after entering “*rea” it finally found the bookmarklet. Thanks for the tip! Doesn’t work for me. Does this require having/using Swipe typing on your keyboard? Does this require a Readability rergistration/membership? No to both questions. You can call your bookmark anything you like, so it doesn’t have to be *read. I simply chose that because it’s simple to call up on the keyboard. I’m using the new Nexus 7 tablet. When I bring up *read, it gives me a list of searches with read in the heading. Does not convert the page. Am I missing something? Can you scroll down through the list? I suspect the *read bookmark is there but down below. The more you use it, the more it should surface going forward however. I was getting lost on the swipe ?123 key to the asterisk key. I ended up tapping in the URL and manually typing *read and the bookmark come up and worked it’s magic. Thanks for the great tip! Wow! Thanks a lot for this article! I really missed this feature! Firefox has Reader Mode built-in. and begin your browsing from there. 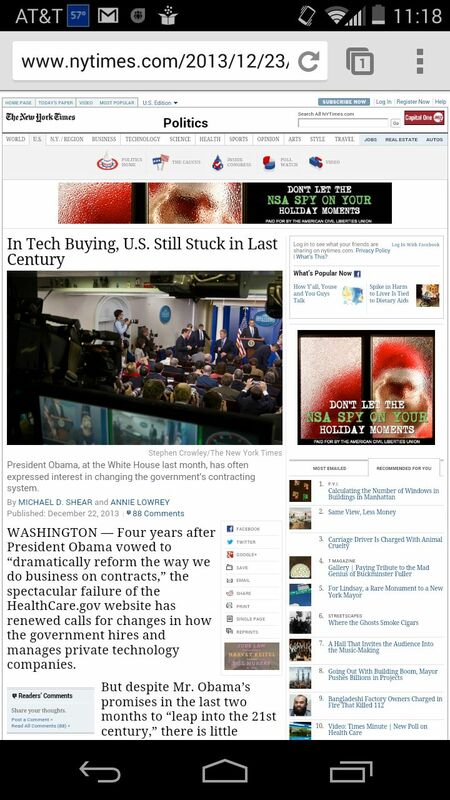 The Mercury browser for Android has a great built in reader. What part of ‘Google makes money from advertising’ don’t you understand? 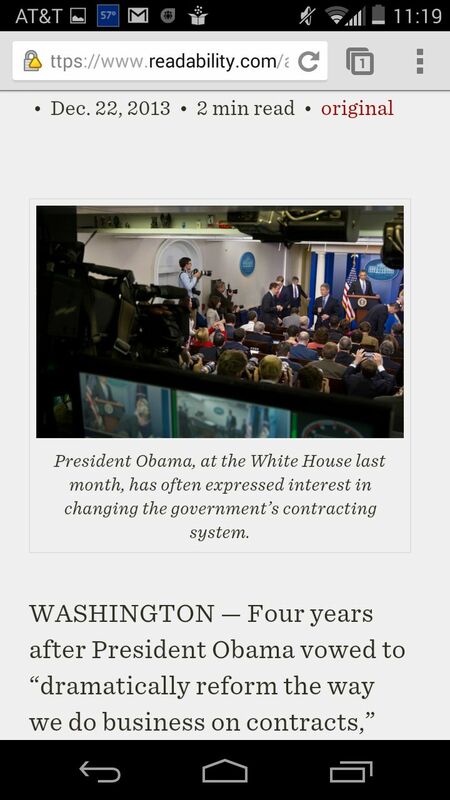 Of COURSE there’s no easy way to strip ads out of web pages in Chrome.